Three years ago, chef and owner Dan Stokes launched Red Bird, a restaurant specializing in New American cuisine and craft cocktails. 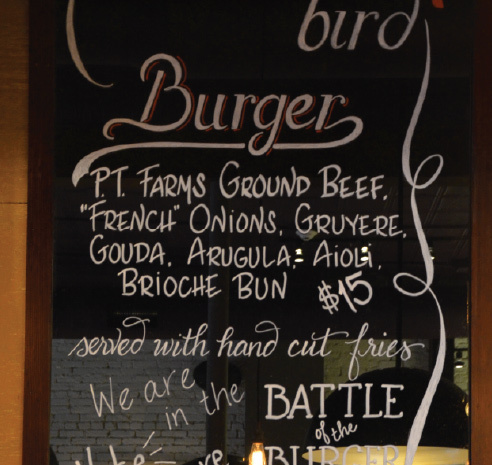 Located in Waltham, MA, Red Bird quickly earned recognition from The Boston Globe as one of the area's best new restaurants. But critical reviews are no guarantee of success. 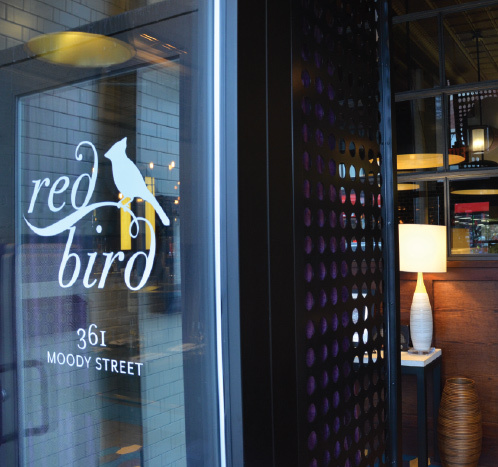 Stokes wants Red Bird to be a neighborhood restaurant, one that's built on regulars and repeat customers, while also drawing in diners from nearby towns. 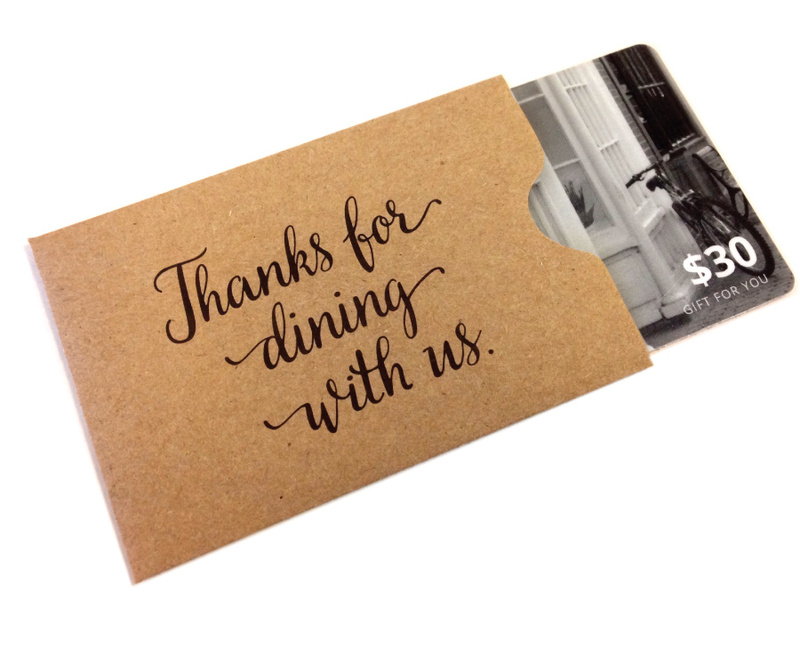 He has tried several ways to draw new patrons through the door, but did not want to partner with a discount program that suggested his restaurant was struggling. He has a brand to protect. 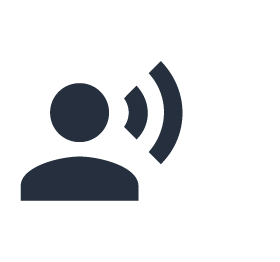 Ultimately, Stokes was looking for a platform that would deliver quality new customers without demanding much of his time or resources. That's why he chose Nift. 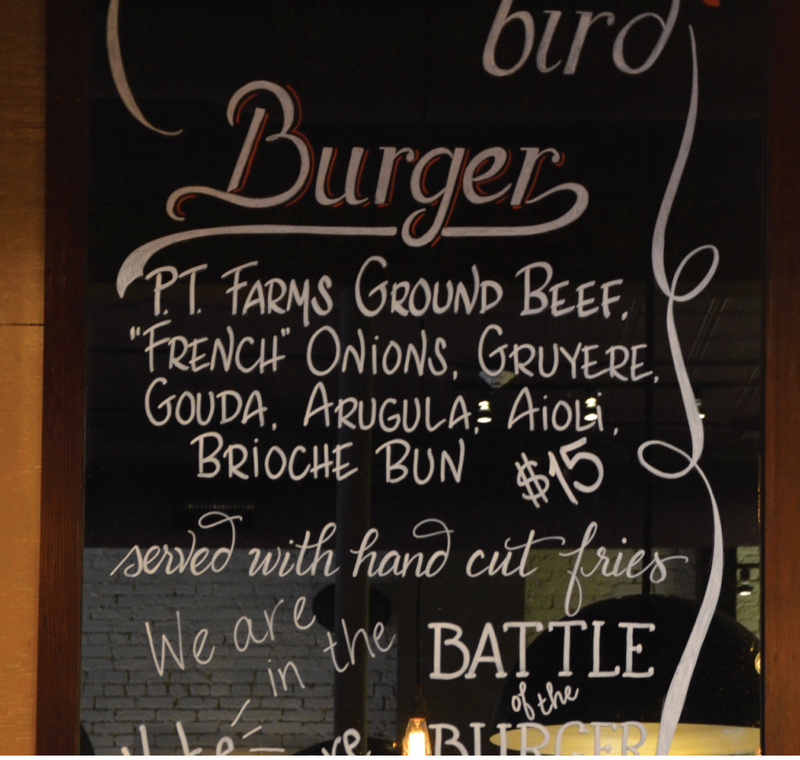 Once Stokes signed up with Nift, Red Bird became part of a curated, invitation-only network of local businesses. The system relies on virtual or physical gift cards tied to companies within the Nift Network. Stokes created his own gift – $25 dollars to spend at Red Bird and specified the maximum amount of customers each month to redeem his gift. Nift's proprietary algorithms match Red Bird's gift to customers from other local businesses. 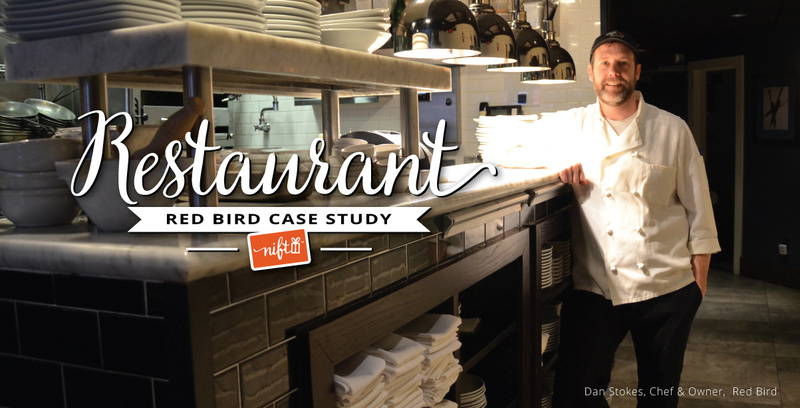 These businesses – which include gift shops, gyms, spas, but not competitors – give Nift cards to their valued customers as a thank you, and people who may never have tried Red Bird are invited to dine at the restaurant. "This place has been around for two years and I never would have found it if not for Nift." - David Q. As part of the network, Red Bird can extend the same thank you to its patrons by offering them Nift gifts from other businesses. "It's great that it goes in both directions," says Stokes. "We can thank people for being loyal customers and then other local shops can point business our way." 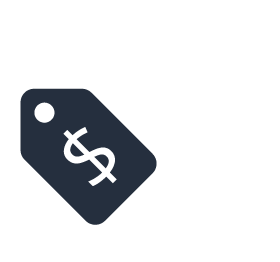 $43,000 expected annual revenue increase at Red Bird from Nift-delivered customers. 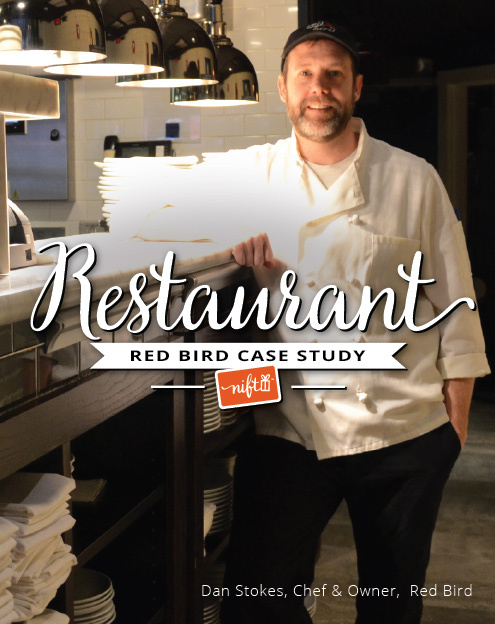 While it's valuable to get new customers through the door, it's even better when they overspend and return, which is what Nift has done at Red Bird. "We see people spending much more than the cost of the Nift gift," says Geoffrey Arvanit is, the General Manager and Beverage Director. "The Nift customers are spending the normal check average." 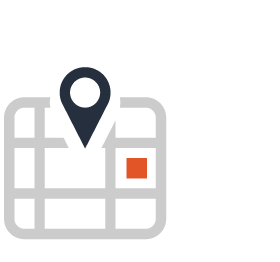 83% of customers who use a Nift gift at Red Bird live within a 5-mile radius. "The customers that we see are right in the sweet spot of our demographic," adds Arvanitis. "They are clientele that we just haven't been able to reach out to yet - they're coming in for the first time because of Nift." 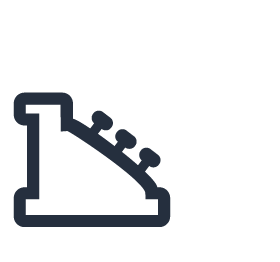 43% of customers returned within a month. "We had a delicious dinner at a restaurant that we’ve been wanting to try for a while now," said a customer who'd been referred through a massage therapy business. "The Nift gift was the perfect way to get us there. We will definitely be back." 50% of customers said they will rave about Red Bird to their friends. "The food was amazing." said Dave M., a new Red Bird customer. "The service was great, and I had one of the best craft brews of my life. I'm already raving about this place to all of my friends. 5/5"
With Nift's services, Red Bird can focus on crafting their seasonally inspired dishes and unique cocktails instead of devoting unnecessary time to marketing strategy. 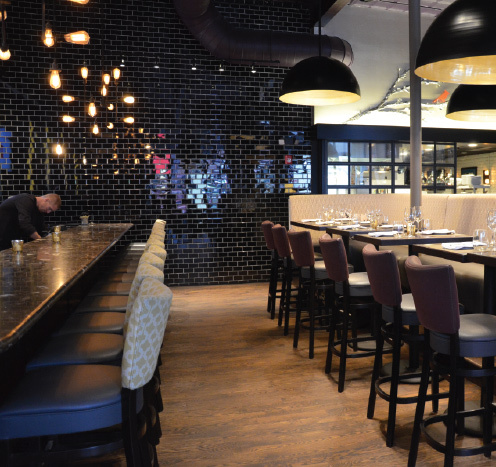 Stokes and his team deliver a quality dining experience, while Nift delivers new patrons. "It's a great, effective way for us to get our name out there and introduce people to the restaurant," Stokes says. "It's not a promotion or a platform that I have to put much thought into, and for a small business like ours, that's essential."